Looking for jobs in Belfast and other parts of Northern Ireland? With the growing population in Northern Ireland and the present (2011) economic climate, finding a new job is increasingly dificult. More and more students are choosing to stay on at University and those in existing jobs are finding a need to learn new skills to help their future employment prospects. It does not help that salary increases are in many cases frozen or even that wages are being reduced. It is hard to advise young people in Belfast and Northern Ireland of the best way forward in the move from school to the education environment. Here on the Belfast Northern Ireland website we do not have any job vacancy listings.However best way t check jobs will be on Monster.com or jobserve.co.uk. The site amongst other things will provide a fully searchable large database of jobs in both Belfast and throughout Northern Ireland. Expect this to be online by 2012 Xmas. 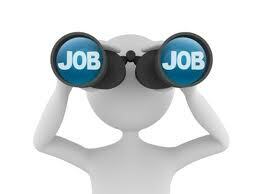 There will also be the facility to add and upload your CV and areas of employment, which interest you. Hopefully on this website you will find the key to a future happy career here in Northern Ireland. Good luck with your job vacancy searches! What do you think of the current situation in Northern Ireland for job seekers? As an employer in Northern Ireland are you currently experiencng difficulty recruiting and retaining staff? Are employee salary increasing, slowing, decreasing or just stuck? Share your thoughts and opinions on the Northern Ireland jobs market using contact us page.